When there are variations in the air pressure then winds are caused. The blow of wind takes place from a high-pressure region to low pressure region. The Pressure of air in the two regions decides the speed of the wind. There are always chances of electric poles and trees getting uprooted due to strong winds. 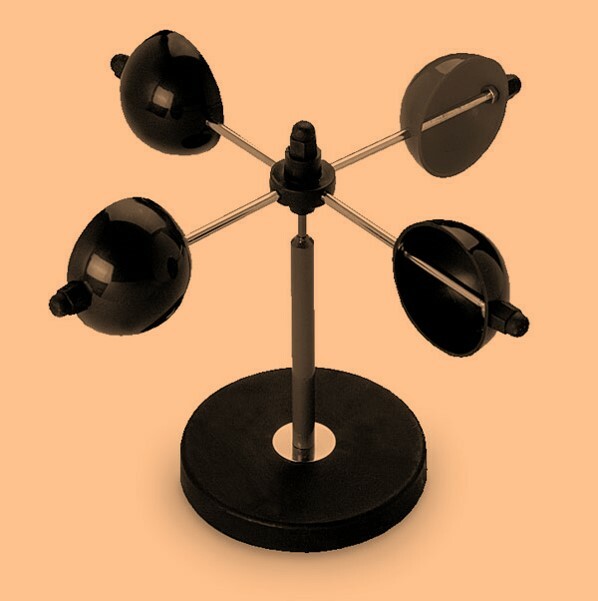 Anemometer is the instrument which is used to measure the speed of the wind. It works when fixed to the top of the building. When land and water gets heated unevenly in coastal areas then also heat is formed. There are cold winds in the South Pole which moves towards the north equator and moves from north to south towards the equator. Monsoon word has come up with the Arabic word “Mausam" meaning season. Water is carried away in the form of vapors from the ocean by the winds which result in the rain over land. Such winds are called as monsoon winds. When there are a thunder and lightning in a storm then it is known as Thunderstorms. It happens because of the convention of air in humid and hot areas. 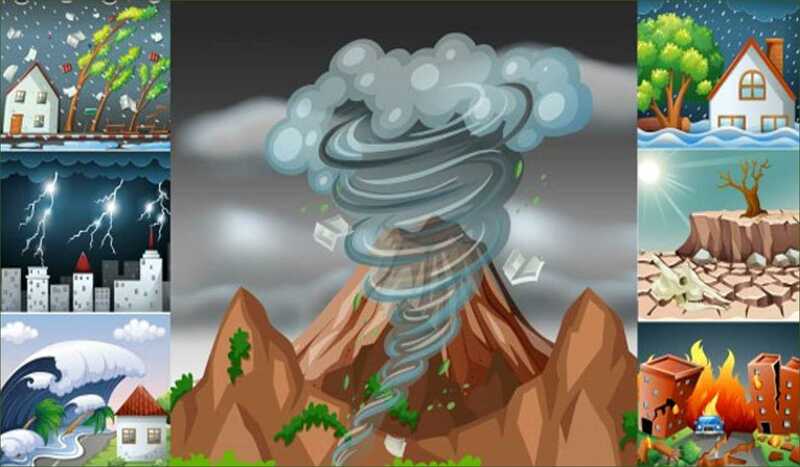 The cyclone is a natural calamity which is caused when there is a difference in air pressure of the atmosphere. It is very dangerous. Many times cyclones occur as a result of thunderstorms. In India, the probability of cyclones is high in eastern coast than in western coast. When there is a difference in the temperature of two regions. The temperature rises by becoming warm which creates low pressure. Cold air fills the gap in the low-pressure area from surrounding areas. Clouds are formed when the air warm air rises. Then water vapor converts into raindrops and heat get into the atmosphere. When high-speed winds occur in a rotating column appearing as a cloud in a funnel shape which reaches the sky from the ground is known as a tornado. It can be formed within the cyclone. When there is the low efficiency of pressure in the eye of cyclone then the tornado is formed. They have created cyclone warning centers. Making proper system and arrangements for shifting people at the time of cyclone. Informing people about proper warnings and forecasts regarding cyclones. Keep sufficient clean drinking water in place. Keep a safe distance from wet switches and electric lines. Help people moving to a safe place. Be aware of the emergency phone numbers. When the air moves then it is called as wind and it moves to low pressure from high pressure. When air moves very fast towards a circle along with heavy rain then it is called as a cyclone. When there is lightning along with the rain then it is said as a thunderstorm. The eye is known as the center of the cyclone. Anemometer is the instrument used to measure the speed of the wind. Which factors are responsible for atmospheric pressure? 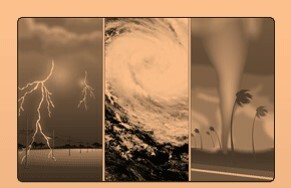 _________ is used to estimate the intensity of the weather based on wind power. The monsoon is received in India from _________ direction. Maximum humidity can be experienced in ________.